Acne sufferers and acne sufferers alone will understand how difficult it can be to find something that clears away your breakouts. 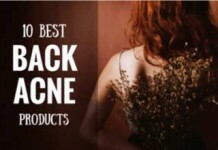 If you suffer from more severe, frequent breakouts that leave scarring and redness and make you feel self-conscious, then you will know what it is to search for that miracle cure to make it all better. 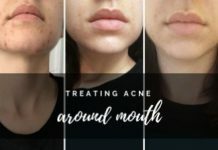 There are so many ineffective, fake products that promise a miracle cure to all of your acne problems out there that it is hard to separate the truth from fiction. The internet is teeming with fake reviews and clickbait and people praying on the vulnerable and weak. So, how do you go about finding a product that actually works without becoming too disheartened? You might not want to go down the medicated route. That is completely understandable. 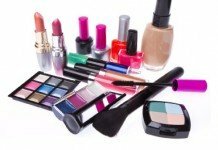 There are numerous side effects that can come as a result of you putting chemicals and medicated topicals on your skin. If this is the case, you may be looking for a more natural solution. This is what the focus of this article is all about. Micellar water is a rising star on the skin care market at the moment. Read on to find out why. Genetics: Some people are prone to bad skin breakouts owing to their DNA makeup. This seems desperately unfair, but it is a fact of life. Some bodies are just made to avoid acne breakouts all together, and some bodies could not prevent them if they tried, no matter how healthy they are. With that in mind, even if you are genetically prone to breakouts, there are ways of managing them. Hormones: Hormones, yet another thing that is hard to control. They affect each person in vastly different manners, and the effects are vast and varied. 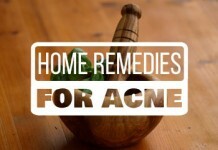 Some of those unfortunate consequences of hormone imbalances or changes are acne breakouts! Hormone Supplements: This includes things such as the contraceptive pill, so especially considering females in this instance. 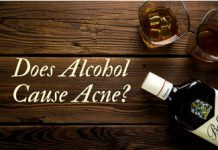 They can often have an adverse effect on the way the body regulates its oil production and therefore cause acne breakouts. Poor Diet: This point speaks for itself. 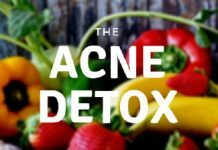 A poor diet aka a diet that is high in fat, sugar and low in vitamins and antioxidants can and will lead to increased acne breakouts. Some people suffer for years without even considering their diet to be a factor, but you would be amazed at the change it could make by substituting the sugar for some salad once in a while. Poor exercise Routine: Exercise is a great way to keep the body going in the right way. The health benefits of a proper exercise routine, or any exercise at all, have been proven time and time again. They shouldn’t be ignored. Exercising your body really is good for lots of different parts of it, including how the skin heals and acts aka acne breakouts! Lack of Sleep: This isn’t just referring to tiredness. This means a lack of a proper sleep routine. With a lack of a proper sleep routine, the body suffers massively. All of the healing, the deep healing such as collagen reproduction and vitamin distribution happens at night while you are resting, and your brain gets to work. Without this recovery time, the body hits a cycle of not being able to reconstruct and therefore suffers massively as a consequence. 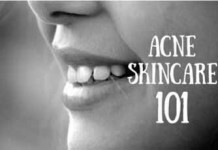 Dull, lifeless skin with acne breakouts is a common occurrence in people that don’t treat their body to the downtime it needs. Stress: Everyone knows that stress has an adverse effect on the body. What they might not realize is that stress also has a negative impact on the way your skin repairs itself and the increase in hormones that it produces, such as adrenaline, leads to a number of different complications, including but not exclusive to, acne breakouts. The list goes on. 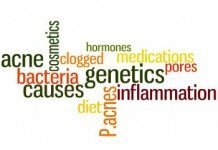 There are a variety of external and genetic factors that can dictate whether or not, or to what extent a person suffers with and from acne breakouts. 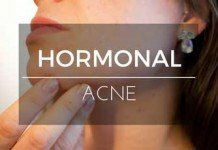 What kind of acne you have and what the underlying cause of the acne is will determine what type of treatment you need for it. However, unless you are seriously unlucky, a lot of skin can be improved with a change in diet and vitamin intake and adopting a healthier life routine. The big clue is in the name. Micellar water is indeed a water-based cleansing solution for your skin. It has been purified and mixed with natural substances that offer intense moisturizing for your skin while being extremely efficient at cleaning and cleansing it as well. Micellar water is essentially a magnet for germs. It contains something that is called micelles, which is where the name micellar water comes from. Micelles are germ magnets. They take away all of the dirt and grime from the skin. It is completely natural, no quirks or gimmicks. It does not contain anti-inflammatory properties or even anti-bacterial ones; however, it does target dirt to the nth degree and keeps the skin clear of unnatural grease also. It comes in various forms, but most commonly it is a liquid that is applied to cotton wool and further used to wipe around the face or wherever it is required. It is highly efficient in removing over 99% of germs, dirt, oil, and debris that build up on your face either overnight if you are applying it in your morning regime or on an evening if you are applying it after being out and about all day. It is so gentle that you can use it twice a day and there are no known negative side effects owing to it being made up of completely natural ingredients. 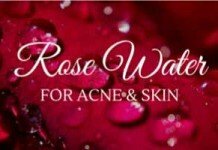 It even works towards hydrating your skin and replacing the natural moisture that may have been lost through the use of harsher skin care products. Acne prone skin is sensitive, and micellar water really caters to this fact. No, it is not made specifically to target acne nor is it explicitly produced for acne prone skin. 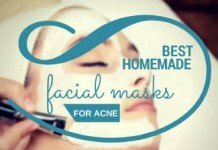 It does, however, have a plethora of undeniable benefits in its ingredients that can be applicable to clearing big, bad breakouts. 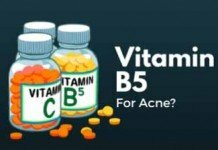 Why is it good for Acne Prone Skin? If you have acne prone skin, you may not yet understand the benefits of having a consistent and regular product that you use for it. It takes time for the skin to get used to new products and introducing too many in quick succession can have a negative even damaging effect on the skin and therefore on your breakouts. 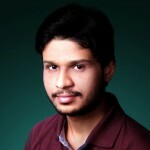 You need to find a product that you can use on a bi-daily basis that you feel comfortable with sticking to for a while. Remember, the skin’s natural cycle of repair and replenishment is nearly two months. These things take time and patience. You don’t want to overwhelm your skin either, this would also have damaging and negative effects. 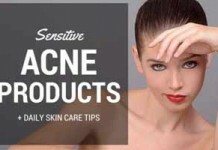 Any skin that is acne prone is sensitive. That is a given. Therefore, you need a product that caters to this need. 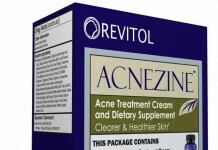 A lot of acne products out there completely strip the skin of everything, so it is left raw and naked. Micellar water does not do this. Though it does remove dirt, grime, grease and oil from the skin’s surface and pores, it does not strip away everything entirely. It leaves behind its own natural oils and moisture. This is just one advantage. When your skin realizes that it has no natural oils left, it will overcompensate by overproducing oil and therefore blocking your pores further and further exacerbating the acne breakout problem. However, micellar water leaves natural, good oils behind that will not clog up your pores and therefore your skin does not need to compensate. Micellar water may be one of the only acne clearing products out there on the skin care regime market that actually delivers what it says it can on the packet. It may not be a miracle cure, but it definitely has all of the right ingredients. It is effective at both clearing and cleansing the skin while maintaining sufficient levels of moisture and oil in order to stimulate natural regeneration and reproduction of cells and leaving pores unblocked and unclogged. Though micellar water was not created to deal with acne specifically, it certainly contains all of the qualities that are needed to combat breakouts effectively. 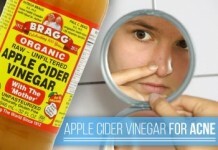 It does this in a number of clever ways and is definitely a product that is worth trying if you are looking for something natural that is not going to cause further irritation to your troubled areas. 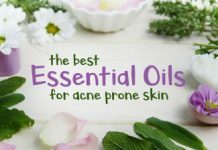 Medicated skin care is not for everyone, and indeed, the trend seems to be shifting away from heavier cleansing products in favor of recognizing how effective the more natural ones are for the skin and acne breakouts.